Dance it up, gals! Brittany leads the way in this scene from the installment "Blame it on the Alcohol." 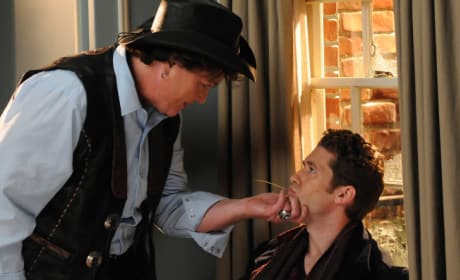 Coach Beiste has a heart to heart with Will in this scene. It's from the episode "Blame it on the Alcohol." We've missed seeing Will and Emma together. They share this scene in the episode "Blame It on the Alcohol."